It’s all turning up smiles on Zonal Avenue in Los Angeles. The community recently gathered at the Children’s Medical Village at the LAC+USC Medical Center to celebrate the grand opening of their new Pediatric Dental Clinic. Thanks to a public-private partnership between First 5 LA and the Violence Intervention Program (VIP), in coordination with the Los Angeles County Department of Health Services and the Herman Ostrow School of Dentistry of USC, major funding was provided to build the new pediatric clinic. First 5 LA provided the Violence Intervention Program (VIP) with a grant of $549,958 to fund the project. The majority of funds were expended on purchasing and installing state-of-the art dental equipment, including specialized dental chairs for children, as well as completing the renovations for the 1,500 square foot space that now houses the Pediatric Dental Clinic. The Pediatric clinic will now serve as a site for the Children’s Dental Care Program (CDCP) for USC. In July 2012, the First 5 LA Commission approved $38 million to fund the CDCP with three strategic partners: UCLA, USC and Western University. The goal of CDCP is to provide oral health services and improve oral health status for at least 95,000 children ages 0 - 5 in Los Angeles County over a five-year period. The project start date for all three CDCP projects was March 1, 2013. With brand new, state-of-the-art equipment and a renovated space, the Pediatric Dental Clinic will provide children and youth with oral exams and ongoing dental care; dental cleanings and fluoride treatments; infant oral health consulting; cavity prevention education; and digital x-rays, sealants, extractions, and restorative care. “The Pediatric Dental Clinic at the Children’s Medical Village embodies the Violence Intervention Program’s commitment to building model programs within the County that expand services to promote the health, safety and well-being of at-risk and foster children and ensure that every child has access to free, high-quality care,” said Dr. Astrid Heppenstall Heger, Chief Executive Officer of the Violence Intervention Program (VIP). According to research documented by the First 5 Association of California, nearly 1.7 million children age 5 and younger enrolled in Medi-Cal in 2013 and 63 percent of those children did not have a dental visit over the previous year. A recent state audit of the Medi-Cal dental program showed that nearly half of all counties have insufficient provider-to-beneficiary ratios to ensure access, thus impacting the youngest and most vulnerable members of society. A 2010 study commissioned by First 5 LA revealed that some 72 percent of children under age 5 in underserved communities have untreated cavities. 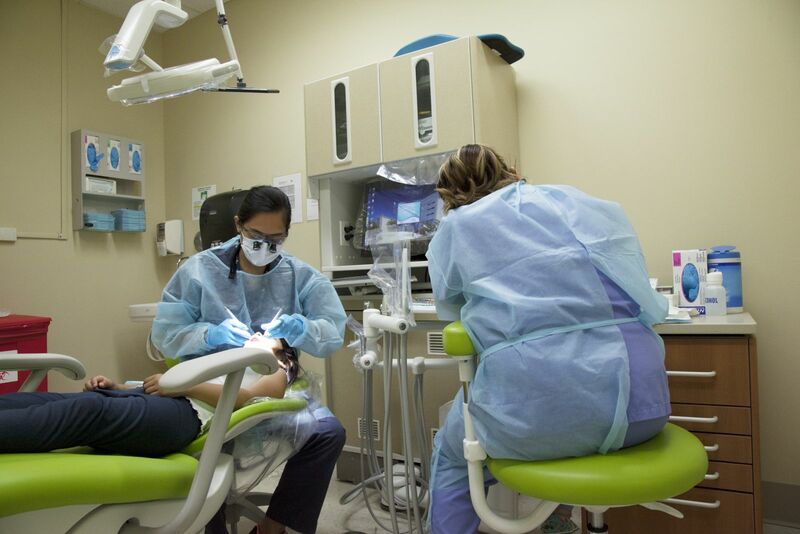 According to a recent study by the UCLA Center for Health Policy Research, almost three out of five community health clinics in California either don’t offer oral health services or, if they do, the nearest facility is sometimes too far for many patients to reach. On a recent day, Sharon Duncan from Los Angeles brought her 3-year-old daughter, Laila, to have a dental exam. First 5 LA continues to work with local partners to increase use of dental health services among children, through a promising initiative. 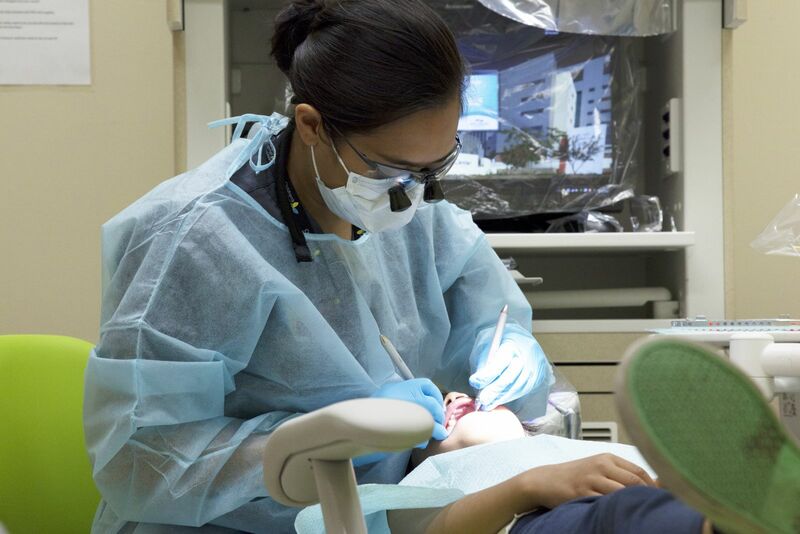 As part of the Medi-Cal 2020 Waiver renewal, California was awarded $740 million over five years to implement the Dental Transformation Initiative (DTI). Its’ purpose is to improve the dental health of children across California to achieve overall better health outcomes by improving access to high-quality care, utilizing performance measure, developing dental homes, and preventing and mitigating oral health disease by maximizing preventative care. “First 5 LA will continue to track the DTI rollout and explore connections with current oral health projects,” Gomez said. “One-third of all the children served by First 5 are infants and toddlers. One of the primary challenges to improving the oral health status of young children is the knowledge barrier around the importance of early oral health itself. Too many parents, providers and policy makers have undervalued the critical role that early oral health and the identification of a dental home play in the overall health of a child,” said Moira Kenney, Executive Director of the First 5 Association of California. By creating awareness around children’s oral health, First 5’s are hoping to change that.